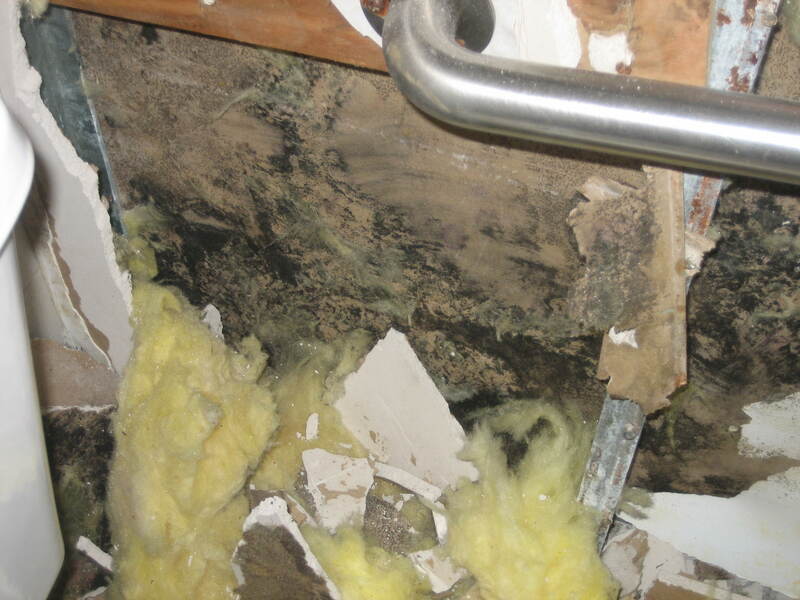 Stachybotrys chartarum (SC) is a greenish black mold that grows on material with high cellulose content, such as wood, straw, hay, wicker, cardboard, fiberboard, especially when these materials become exposed to water. It needs a good deal of dampness to flourish. The toxic effects of Stachybotrys chartarum were first reported in the early 20th centure in Russia when horses and cattle that had eaten moldy hay feed began dying. The “Yellow Rain” attacks in Southeast Asia in the 1970s were associated with aerosolized trichothecenes, the type of mycotoxin produced by this highly toxic type of mold. SC is typically dark in color and wet and slimy to the touch. It can also appear grayish or sooty, with a powdery appearance. It must be important to remember that molds cannot be identified visually since many molds are similar in appearance. Cladosporium, Aspergillus, Alternaria, and Drechslera, can be mistaken for Stachybotrys. The only definitive way to identify a species is by examination of the spores under a microscope which is why professional testing should be done, followed by treatment.